THE FILM INDUSTRY has long had a major problem with equality when it comes to anyone who isn’t a straight, white male. While this fact isn’t news to anyone, it has increasingly been brought to the forefront of our nation’s social consciousness in the past few years. Prominent actresses like Jennifer Lawrence, Julia Louis-Dreyfus, and Patricia Arquette have used their platforms to draw attention to the wage gap that exists in the film industry between actresses and actors, and people of color in the acting community, like Asian American actors Aziz Ansari and Constance Wu, have called for more representation of minorities both in front of the camera and behind it. Still, despite the increased number of conversations we’ve been having, both on national and personal levels, the industry hasn’t made any wide-sweeping changes to address these imbalances. People are talking, and Hollywood, for the most part, has yet to let on that it’s listening. That’s why it’s always better to resort to action when words just don’t seem to cut it. Moonfaze Feminist Film Festival, which took place for the second year this past December 1st, isn’t just a call for a more inclusive film industry, it’s a concrete step in that direction. 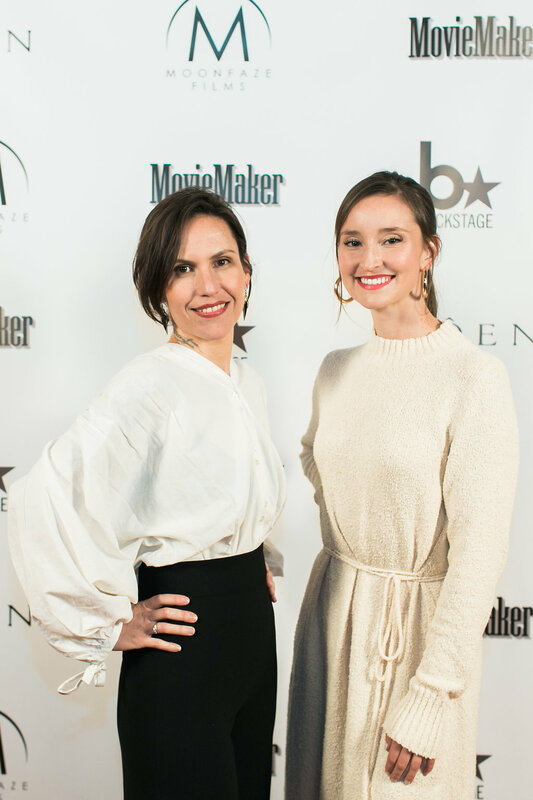 Spearheaded by Premstar Santana and Roxanne Morrison, both actresses themselves, the event featured 19 short entries that ran the gamut when it came to style and genre — from drama, documentary, and experimental to music videos and web series. When asked how the duo decided on which films to include in the festival, Prem (as she goes by) said that their “number-one criteria was excellence. Quality of films. They didn’t have to be directed by a woman, as long as they were female-driven films with a feminist viewpoint.” Those two points — excellence and being female-driven — were definitely met by all the entries shown that evening. 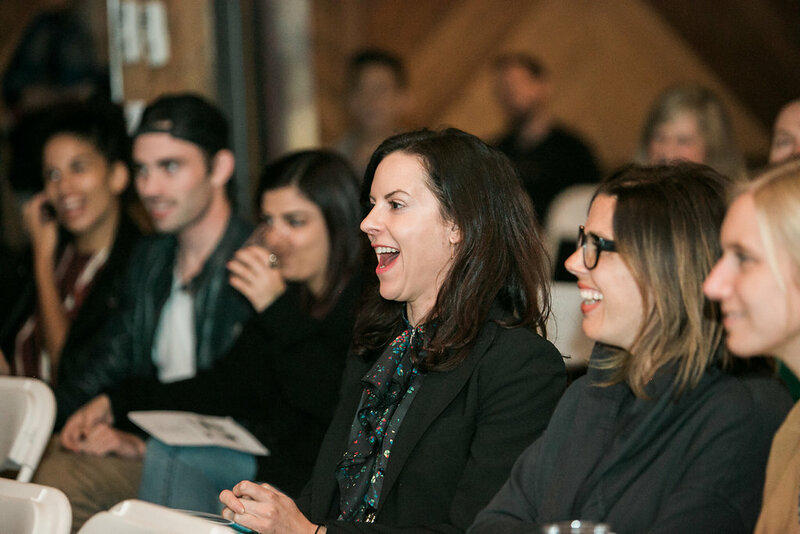 Opening with a drama that focused on a black American woman’s harrowing encounter with racism and misogyny in Africa (In Their Eyes), and closing with a gender-bending Bowie-inspired music video starring Westworld‘s Evan Rachel Wood (Oh Yeah), the lineup of entries featured women at every turn, whether as writers, actors, directors, editors, or producers. When Jennifer Lawrence and her fellow actresses first started drawing attention to the wage gap between genders in Hollywood and the film industry, dozens of media organizations praised them for making groundbreaking feminist statements. However, other organizations — especially those featuring prominent voices of people of color — criticized the actresses for not addressing the issue as a whole, and for practicing “white” feminism in the sense that their aims and call for actions only benefited the concerns of other white women while failing to take into account people of color and minorities. Yes, women make 77 cents to every dollar a man makes, but women of color and minorities make 10 to 20 percent less than white women make, and critics argued that facts like these get lost in the clamor after white celebrities with big platforms make seemingly-progressive statements. To learn more about Moonfaze Feminist Film Festival, and to see the list of entries that were screened, check out its website. Make sure to check back frequently for updates about new projects and for information about next year’s festival!